Introducing, Q & A on the 5s! 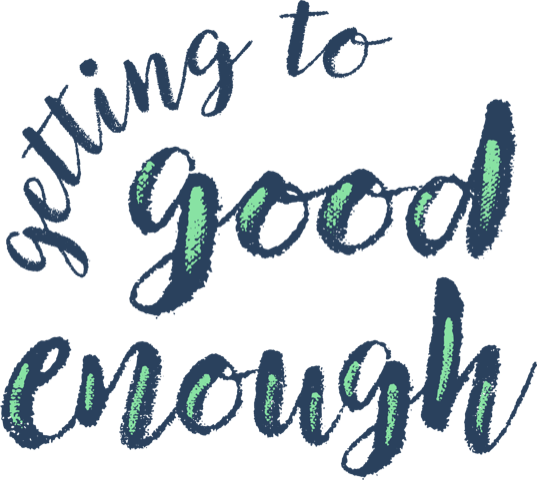 We’re going to answer your questions about good enough vs perfectionism or anything else pertaining to the world of Getting to Good Enough, on each episode whose number ends in five. 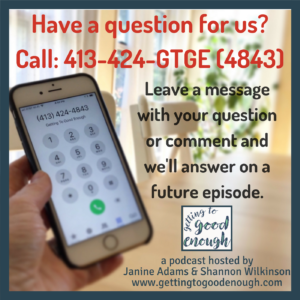 Simply call the GTGE Hotline and record a voicemail with your question. We’d love to use the recording of your voice asking the question, though we can read it if you’re shy about that. The GTGE Hotline is 413-424-GTGE (or 413-424-4843). Just leave a voicemail with your question and we’ll answer it in a future on Q & A on the 5s episode. Besides questions, we’d love to hear your comments on past episodes, or ideas for future episodes.